Perfume-Smellin' Things Perfume Blog: Foodie Sunday- “Maple Madness” , Pancake Breakfasts and a very delicious giveaway! Foodie Sunday- “Maple Madness” , Pancake Breakfasts and a very delicious giveaway! In Northeast Ohio where I live, there is a beautiful little town called Burton. When I was a child, my sister and I used to drive there on beautiful fall days to see the maple leaves turn and in the early spring we’d go to the maple sugar cabin to by fresh syrup and pieces of yummy maple cream and sugary maple leaves that were so sticky and delightful that your teeth would ache from the eating of them. Then we’d take our syrup home to our mother who would heat it up and give it to us in little bowls so that we could take our spoons, stir it really fast and make our own maple cream that we then eat as fast as we could. To me, the flavor of fresh maple rivals any other taste that I know. My horses adore it too..they’re always bugging me for a piece of the naturally delicious sugar! Burton , Ohio is also the home of The Great Geauga County Fair which is Ohio’s oldest county fair and in my opinion the very best. If I were to have to choose my last meal on this earth it would be the dinner that I eat on the first and last nights of the fair. Twice a season and with unabashed passion I’ll enjoy a meal of piping hot cornbread covered meltingly gooey swiss cheese on a stick with mustard, an ear of fire roasted fresh sweet corn dripping with melted butter, cinnamon and maple dusted sweet potato fries, fresh Birch beer and several pieces of maple sugar candy. You can’t even imagine how delicious this is and mingled with the smell of woodsmoke and draft horses, it just doesn’t get any better than this for a girl like me. So I am sure that it won’t come as any surprise to you that the first home that Jim and I ever bought together was a small gentleman’s farm which we named Windesphere that was situated right around the corner from the Burton Fairgrounds and the old log cabin where they make all of the maple syrup for that part of Geauga County. Burton is a historical old town with a fabulous Century Village, a living bit of pre civil war Americana with war reenactments, seasonal festivals and one of the best antique fairs that I’ve ever had the pleasure of strolling through! pulled by Hafflinger ponies sharing space with a few Harley's at the local diners. We make hay in the summer, apple and pumpkin butter in the fall and maple syrup in the spring. It was an absolutely magical place to raise a child. Sometime in late February we'd begin to see the tin sap buckets beginning to be hung from the sugar maple trees and that was always my cue that spring was just around the corner. That and the wonderful smell of the woodsmoke that would fill the air every morning along with the fragrance of wet earth and running sap. Suddenly, my sleepy little town would spring back into life and we'd begin to see all of the maple farmers unloading their trucks at the little cabin on the square, where they'd bring their fresh maple sap to be poured into the huge wood fired evaporators. It takes hundreds of gallons of fresh sap to make a few gallons of maple syrup so the process is fairly labor intensive and goes on for about a month. Every couple of days during the month of March, Alex and I would go to the sugar cabin to sit in the rocking chairs by a warm fire that's always lit in the beautiful fieldstone hearth and eat leaves of fresh maple sugar candy and maple cream with black walnuts. Sundays in March were always reserved for the delicious pancake breakfasts that we'd go to with our next door neighbors, sometimes at the High School, sometimes at the Historic Century Village Church and the Fire Station. Known as Pancake Town USA, Burtonites tend to take their pancakes very seriously, generally making them out of all of the right ingredients and slathering them with gallons of fresh syrup and heaping tablespoons of freshly salted butter. The smell when you walk into any of the places where they are being served is incredible; imagine the aroma of hundreds of sweet freshly cooked flapjacks , sausage, bacon and maple syrup with a hit of percolated coffee. By the time you manage to get through the huge lines you're practically starving which is wonderful because they bring you refills of absolutely everything. Then when you've eaten your fill, you buy some fresh syrup, some maple candy and home you go to slip into the ultimate food coma! I tend to buy quite a lot of it because maple syrup is one of my favorite ingredients to cook with and also to use for a spring detox. A combination of maple syrup, fresh lemon juice, spring water and a bit of cayenne pepper is mother natures most delicious gift to a sluggish body that’s just waking up from a long dark winter and can be drunk warm or cold several times a day. Those same ingredients sans the water can also be mixed with a bit of bourbon, salt, pepper and onion to make a fabulous marinade and glaze for fresh salmon, pork or chicken. My favorite recipe for baked beans requires at least 2 cups of syrup in place of the more commonly used molasses. How about an ounce or two of rye or bourbon shaken with a couple of tablespoons of maple syrup, some fresh apple cider and poured over ice or simply take the best vanilla ice cream that you can find and serve it with warmed syrup and fresh black walnuts! So tell me….what do you do with maple syrup? Send me your recipes please! In honor of springtime , this years sap run and also because I love all of you so very much, I’m giving away a gift of a quart of this years finest syrup, a big box of wonderful maple sugar candy and some Geauga County pancake mix from the Burton Chamber of Commerce! Just let me know in your comments if you’d like to be entered in the drawing! I loved reading your story of Burton and your experience living there. It really does sound like a magical place, that would stay in one's memories forever. How wonderful that treasures like this still exist. Would love to visit someday. I remember when I was a kid, my parents would take us to the apple orchard to go apple picking, and at the end of the day they would treat us kids, and buy each of us one of those wonderfully sweet maple leaf candies. I haven't tasted one of those in YEARS! Maple syrup, wow it's good stuff, and in this household a luxury, which we don't buy very often. I like to glaze pork tenderloins with a maple/mustard glaze and grill them to perfection, yum! I also love to use maple syrup simply as a sweetener for my homemade granola, and of course - oatmeal. But the best way of all (in my book anyway) is on top of pancakes, preferably buckwheat or whole wheat. I'm crossing my fingers and toes for this giveaway!! Yippee! Good luck to all! Oh my golly, I'd love to win this. I am a maple syrup snob, and I used to love those candies. I was amazed to find out how much sap has to be boiled down to make a gallon of syrup. That's a lot of work and wood being burned! Please enter me in the drawing, and thanks!
" Twice a season and with unabashed passion I’ll enjoy a meal of piping hot cornbread covered meltingly gooey swiss cheese on a stick with mustard, an ear of fire roasted fresh sweet corn dripping with melted butter, cinnamon and maple dusted sweet potato fries, fresh Birch beer and several pieces of maple sugar candy." What a beautiful essay. You're making us all want to visit Burton. I've never had maple syrup beyond your basic grocery store variety. Please enter me in the drawing. Thanks! Burton sounds very much like my old hometown in Maine; we tapped trees and boiled the syrup too, both birch and maple. I can remember the smell in the morning, as it sat in a big pot on the back of the woodstove all night. Thanks so much for that memory. Please enter me in the draw. Katherine B.
Oh, yes, enter me, please. I especially like to make sure some syrup gets on my sausage or bacon. That's the best. What a great post! It's a whole memory brought back to life. When my son was very young, we moved to New England, and I made snow ice cream with maple syrup. We also use it in acorn squash, mixed in with butter and nutmeg. It's wonderful in homemade granola, as Carolyn said. I also use it to glaze carrots, add to sweet potatoes before roasting. Here in Arizona, I make pancakes from whole wheat and mesquite flour, which is naturally sweet. Most people pour agave syrup over these, but my New England roots has me use the exquisite and expensive maple syrup. Please enter me in the drawaing! Oh wow this contest is a treat. I have a special place in my heart for real maple syrup. I can see from the previous comments so do other people. My great grandmother used to make maple candy when I was younger. They were so good and something I looked forward to. Please enter me in the contest. Thank you. I would love to enter as I've never tasted American pancakes and this sounds wonderful. Oh wow, I'd love to be entered, though I do live in the UK, so I'm not sure if that's OK or not. Anyhow, my favorite recipe with maple syrup is a cedar planked salmon, with a maple syrup glaze. It's amazingly delicious, because as the salmon cooks on an untreated plank of cedar in the grill, it's infused with the smoky woody flavor and aroma, while simultaneously going all sticky and sweet with the syrup. We like to serve it with a fresh lemony lentil salad with tomatoes, peppers, red oinions etc. which lifts the dish, bringing fresh clear flavors in to cut through the smokyness of the fish and the sweetness of the sauce! Living in the UK, I haven't had proper maple syrup or any of those other goodies for years ... it makes me miss my college days of living on the east coast in the US (though I grew up in the west). Oh, Beth, I do enjoy tapping season...it can be so varied, from year to year, just as spring should be up here. Unpredictable, yet with undeniable rhythms. I am deducing from your references on and off to the farm that you are starting to approach a sort of peace with leaving it behind. The kind of peace that comes after the knowing you made the right decision, but after you fully face what you left behind. I am glad that you are still finding related rhythms, and that not only can you return fondly, but bring us over, as well. Meanwhile, I feel the need for a stack of hotcakes. Thanks for a nice Sunday morning read. It all sounds delicious, and I would love to be included in the drawing please. I'm not actually sure that I've ever tried real maple syrup, and I've never heard of maple cream. We love to have pancakes for supper on Sundays at my house - yum! Beautiful post. I love maple syrup, the darker the better. Please anter me in the fabulous draw. Please include me in the drawing. My favorite use of maple syrup is over French toast, with a nice side of bacon. We live in upstate NY, so maple is popular here. My daughter's viola teacher was saying that when her nieces from Georgia came to visit, they were wowed with the pancake syrup. She realized that they'd never actually eaten real maple syrup before. Good heavens, how can I NOT enter this drawing, yum! When I was a little girl, long ago, my dad's brother ran the family hog farm that they all grew up on. They tapped their own trees and everybody was put to work when the sap house was opened. The women would fry dozens of buckwheat pancakes and fresh sausage patties, and the whole extended family & neighbors would gorge. There was even handmade butter, because in those days all family farms had a few cows and chickens for milk & eggs. The smell of the woodstove combined with the boiling sap and the pancakes....well. Very pleasant childhood memories. This was in IN, by the way, and I also spent hours in the late fall shelling black walnuts with that particular uncle. Thanks for your beautiful & evocative post! Wow! What a wonderful opportunity! I would love to win some real Maple syrup...I would use it on pancakes and French toast, of course, but I would also try some of the Bourbon cocktails mentioned here! Thanks for the chance...we only have the store bought syrup in South Arkansas. Thanks for the generous giveaway offer. Maple flavor is uniquely comforting in a way berry syrups can't touch. I often use maple as a sugar substitute in recipes and as a glaze for meats. It can be an expensive habit, but then so is perfume adventuring and many other things worth enjoying in life. Oh Beth, what a great read! Your description of Burton taps right into my "American Idyll" fantasies. What a great place to raise children indeed! If your generous giveaway is international I would very much like a chance to win these delicious treats. Thank you for another wonderful post, I really enjoy your "Foodie Sundays"! Oh, please, please, if the draw is international, enter me! I would love to try all these delicious things. They are completely new and exotic to me! I have a sweet tooth, I admit it. I had no idea that Ohio was such a center of mapley goodness! I love pancakes with real maple syrup (which we never get here. I also loved to make a christmas ham with the stuff. In the last half hour a dousing of grade B and basting will produce a deliciously smoky sugary crust! Well, YES! I used to go to Vermont in maple run times. Lovely. I'd love to win some syrup! I'm in OHio too and noticed last week all the trees tapped nearby....love Maple Syrup Season! Oh, please enter me in the draw! Also, may I share my very favorite pancake recipe? It is this one. So very, very delicious. And also, I like to fool myself into thinking, healthful. Please please enter me in the draw! I've been wearing the heck out of Fourreau Noir recently, which smells--on me--of lavender and maple syrup. I'd love some real maple foodstuffs to calm the cravings that have ensued! Please enter me in the draw. I love fresh maple syrup. My favorite recipe is to toast whole pecans with maple syrup, cayenne pepper and kosher salt until they are candy coated. The best snack ever. Please enter me in the drawing! I haven't used maple syrup very much in cooking so I don't have any recipes to share. My parents were both born in Geauga County. My mom & dad were high school sweethearts in Thompson, OH. My dad's parents later moved to Chardon. My maternal grandfather was a dairy farmer and also made maple syrup in the Spring. I got so hungry reading your post today! I love the fragrance of maple syrup being made. It's a wonderful sweetener for lots of foods. 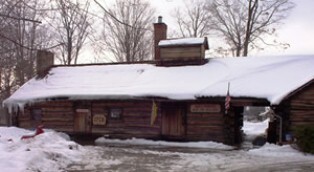 I grew up in a small town too, but never had real maple syrup (just Log Cabin!) till I was an adult. I can't imagine how wonderful the maple candies must be and those maple dusted sweet potato fries. This was a lovely contribution that leaves me very hungry for the wonders you describe! MMMMMMM Maple syrup I feel like homer drooling over this delicious nectar, please enter me in your yummy draw. Wow - no need to enter me, but I am a maple lover from WAY back, this is marvelous! I would love to be entered! I LOVE MAPLE SYRUP ! Down here in the south it's much pricier but still-sooo good on hot pancakes ,waffles,and french toast. I don't let a drop go to waste. Thanks! My husband insists on real syrup (I grew up eating the fake stuff!) and he absolutely loves maple candy. Who doesn't? Yum. Anyway, would love to be entered in the draw, but living in Medina, will have to make a trip to Burton anyway! Thanks for the great suggestion, even though I love your perfume posts, too!